Activism, Inc. introduces America to an increasingly familiar political actor: the canvasser. She’s the twenty-something with the clipboard, stopping you on the street or knocking on your door, the foot soldier of political campaigns. Fisher examines the history and rationale behind political outsourcing on the Left, weaving together frank interviews with canvassers, high-ranking political officials across the political spectrum, and People’s Project management. She compares all of this to the grassroots efforts on the Right, which remain firmly grounded in communities and local politics. 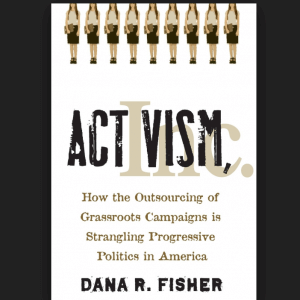 Granted unprecedented access to the “People’s Project,” an unknown yet influential organization driving left-leaning grassroots politics, Dana Fisher tells the true story of outsourcing politics in America. Like the major corporations that outsourced their customer service to companies abroad, the grassroots campaigns of national progressive movements―including Greenpeace, the Sierra Club, Save the Children, and the Human Rights Campaign―have been outsourced at different times to this single organization. During the 2004 presidential campaign, the Democratic Party followed a similar outsourcing model for their canvassing. This book offers a chilling review of the consequences of political outsourcing. 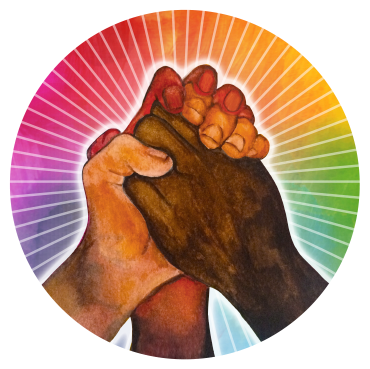 Connecting local people on the streets throughout America to the national organizations and political campaigns that make up progressive politics, it shows what happens to the passionate young activists outsourced to the clients of Activism, Inc.